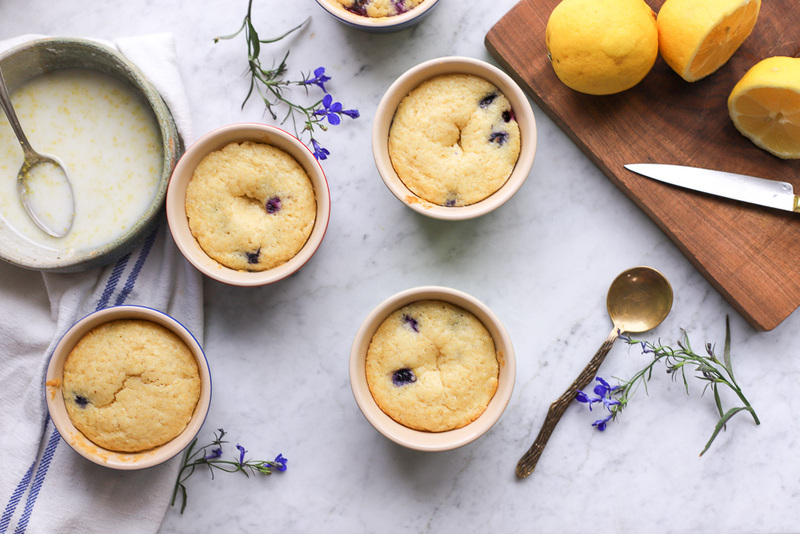 These lemon blueberry cornmeal cakes are the perfect summertime dessert. Whether for a mid-day snack or a light dessert after dinner, they are sure to put a smile on your face! 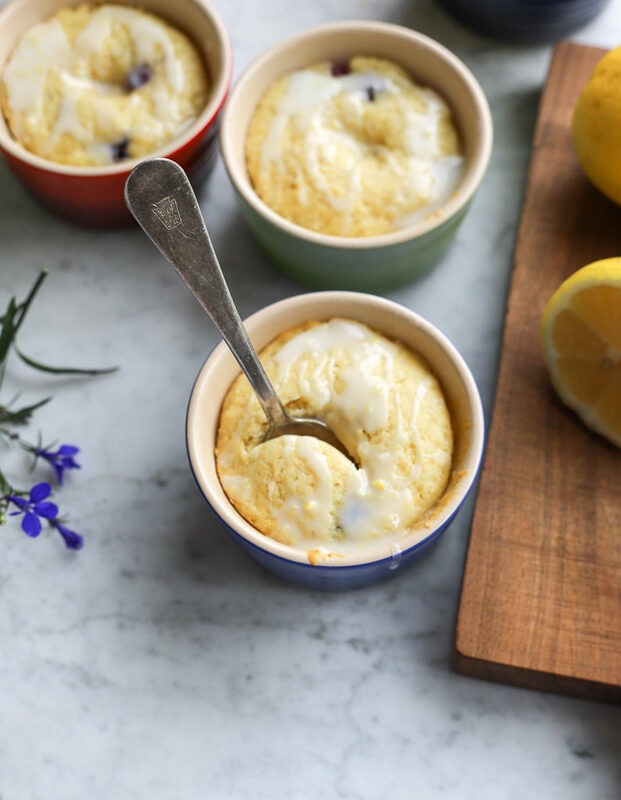 I think I’ve mentioned it before, but I just love lemon desserts. Some women are chocoholics, but for me, I’d almost choose a lemon dessert any day over chocolate. Of course it depends on the day…I still do love me some chocolate. 😉 But there’s just something about the fresh taste of lemon. And these cakes definitely have that fresh flavor. 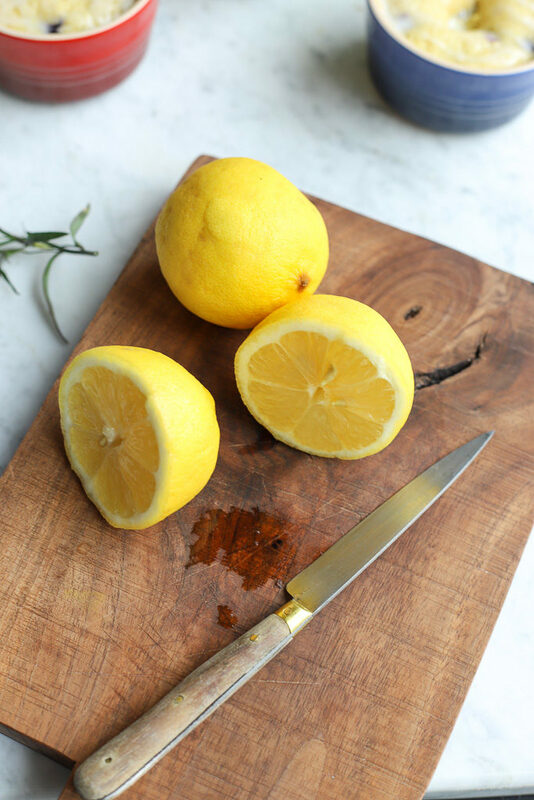 There’s lemon juice, zest, as well as a few drops of lemon essential oil in them–they’re delightful! 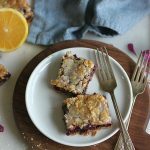 And paired with blueberries, you just can’t get a much fresher-tasting dessert than this. 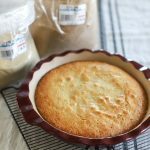 I found this recipe on King Arthur Flour’s website and thought the addition of cornmeal was interesting. I didn’t know how I felt about it at first, but after tasting these cakes, it’s a lovely addition. 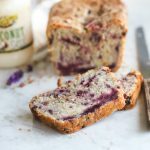 The texture the cornmeal brings makes this cake taste almost like a sweet cornbread muffin but more moist with the addition of those juicy blueberries. I used frozen blueberries because that’s what I had on hand, but I can’t wait to use fresh berries here soon. 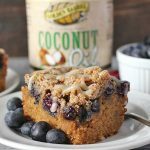 And that glaze–oh my! It’s the perfect addition to these lightly-sweetened cakes. 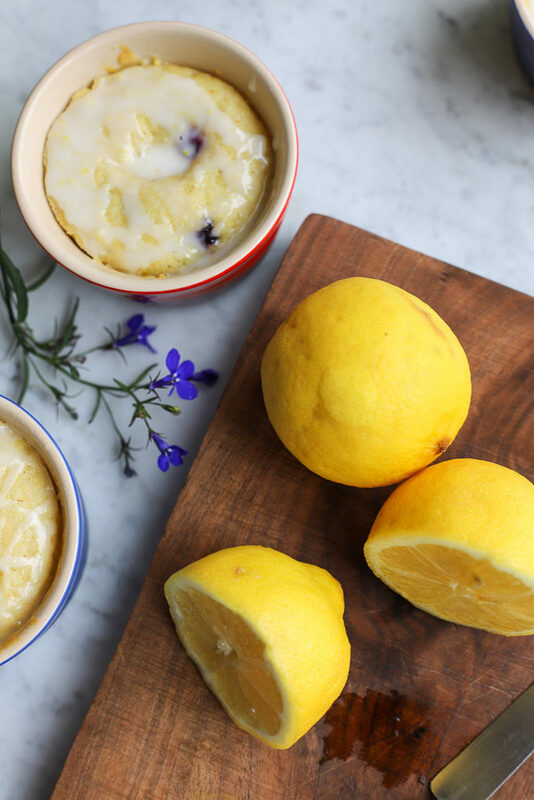 With fresh-squeezed juice as well as zest in it, this glaze just enhances the lemon flavor going on here. So if you’re a lemon fan like me, these cute little cakes will make your day, I promise. Try them today! 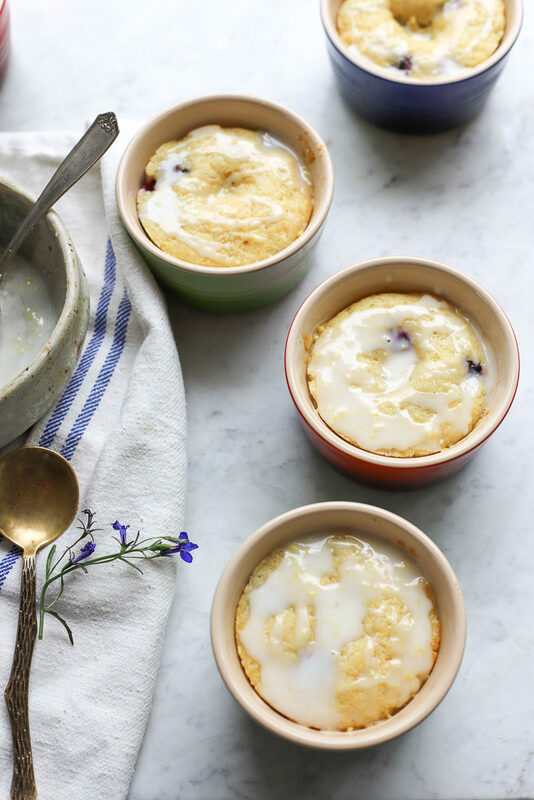 Delightful lemon-infused blueberry cornmeal cakes are a treat to your tastebuds and are sure to be a new favorite summertime snack! 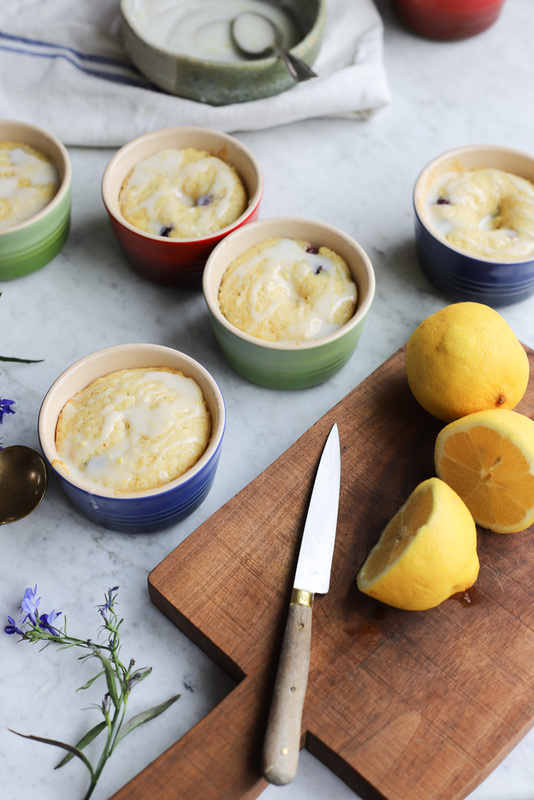 Preheat oven to 350 degrees F. Lightly grease 6-8 ramekins or small baking cups. Combine dry ingredients (flour, cornmeal, sugar, baking powder, and salt) in a large bowl and stir to combine. Set aside. 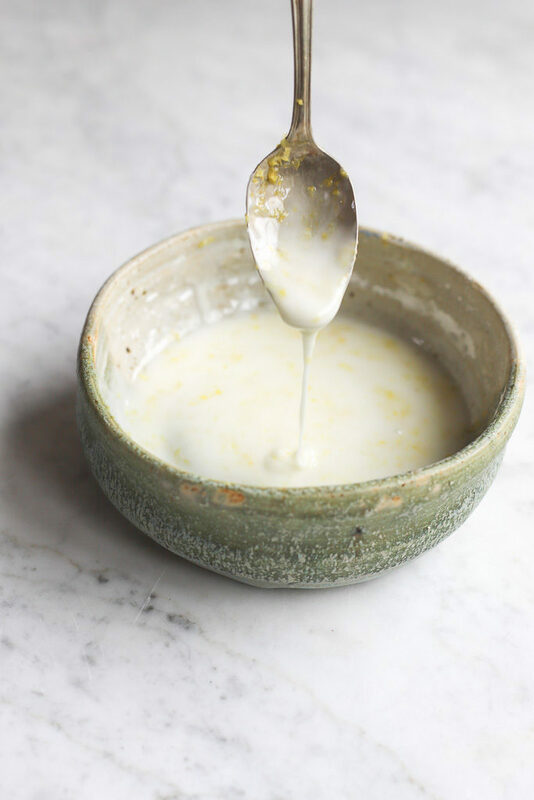 Whisk together buttermilk, eggs, lemon oil, juice, zest, and coconut oil until combined. Stir wet ingredients into dry ingredients until just combined. Fold in blueberries. 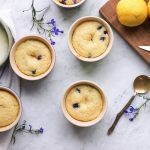 Using a greased 1/3 cup, scoop batter into prepared ramekins and bake for about 25 minutes or until edges are golden brown and centers are firm to the touch. Let cool on baking rack. In a small bowl, combine confectioners' sugar, lemon juice and zest until smooth, adding more sugar or juice as needed. Glaze shouldn't be too runny. Drizzle glaze onto cooled cakes.